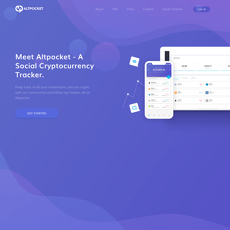 Acrypto is a portfolio tracker that also gives live prices for cryptocurrencies. The application is available on Google Play as well as App store. 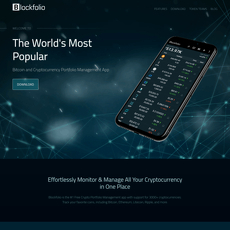 The site has a video that gives a genral overview of what the portfolio tracker is all about. One important thing it helps to track for traders is the current price for Bitcoin and Altcoin cryptocurrency. They present it in such a way that you can have an interaction with the prices in charts showing volumes. It is mobile-friendly and ensures filtering of historical prices within a time limit. 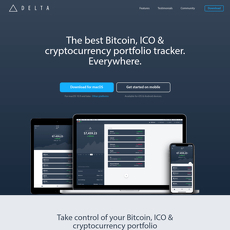 Various coins are listed and their overview is given. Once the traded currencies are given, the volume in 24 hours is presented as well as the current price. There is also a way you can check for the exchange rates of your crypto pair. There is also a notification mechanism in form of alerts for users. Users get alerts in real-time, ensuring a close monitoring of your cryptocurrencies (mainly, Ethereum and Bitcoin). You have the power to set the alert to whatever crypto pair or altcoin you want. Lastly, Acrypto ensures a proper management of your portfolio, so that you can add all your coins in one place. 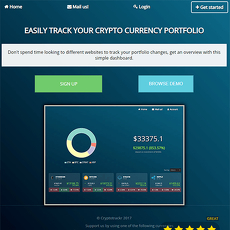 This way, you can track your profit or loss within the last 24 hours of trade or activity. 1. App: The application was designed for comfort and it is available on both Google Play and App Store. 2. 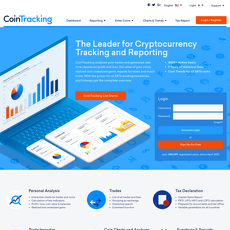 Coins: There is a list for all your coins and every necessary information useful in the market. Overview of coins is well-organized. Available on Google Store and App Store.